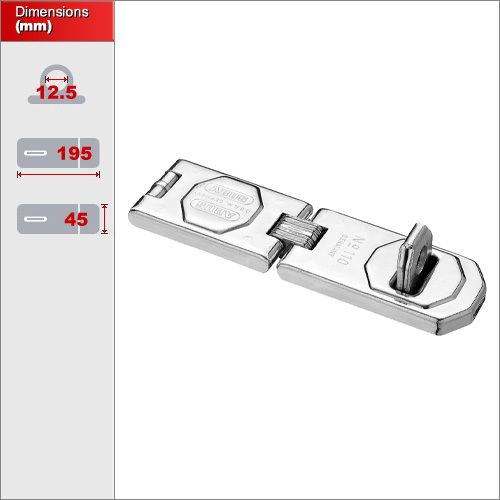 The vertical staple in this design allows closed-shackle locks with a shackle diameter of up to 12mm to fit to in the correct orientation. 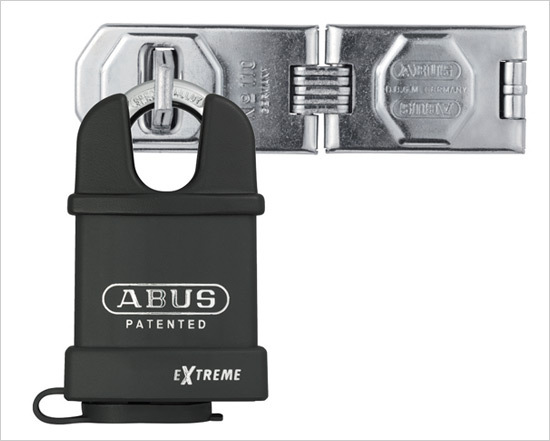 It is also suitable for use with any other padlock with a shackle diameter of up to 12mm, including discus types. Constructed from steel but with hardened steel used specifically for the staple and hinges for added security. It is not regarded as marine grade weatherproof but does have a special coating which will help it withstand corrosion over time. 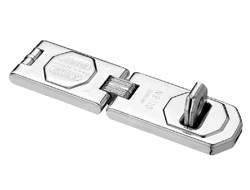 This version includes an additional hinge which allows the hasp to be secured at 90 degrees within a corner. This hasp comes with all necessary screws and fittings.